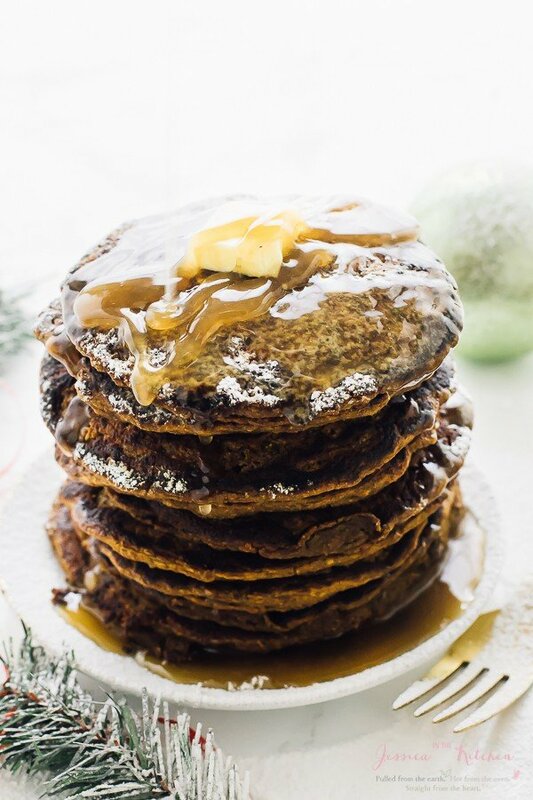 These Gingerbread Pancakes are like eating Gingerbread cookies for breakfast! 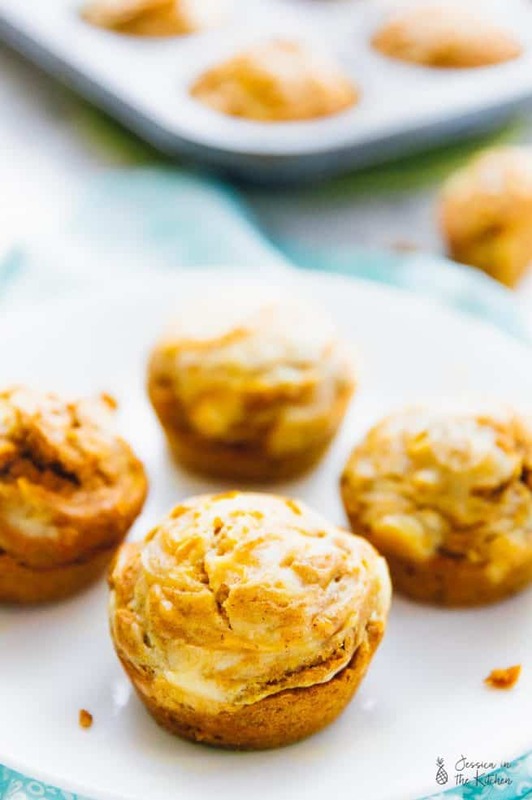 Fluffy, so tasty, and served with a salted caramel maple syrup! There’s something quite magical about having pancakes on Christmas morning. It’s as if the second you make them, the pixies and fairies and elves come out of nowhere and cover your home with Christmas cheer. Okay, so maybe that’s a secret Christmas wish of mine, but it certainly does add to the overall festivity of the day. Pancakes are the ultimate weekend breakfast/brunch. 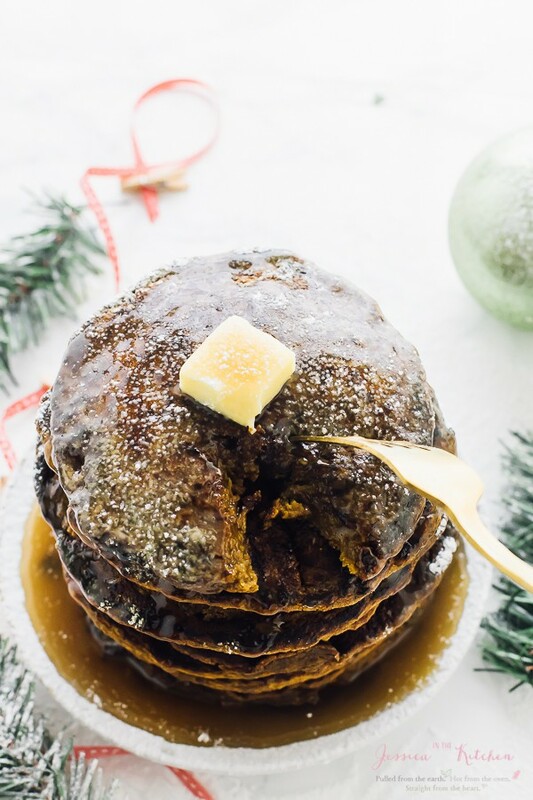 These Gingerbread Pancakes will ensure that your home is filled with all the Christmas cheer. 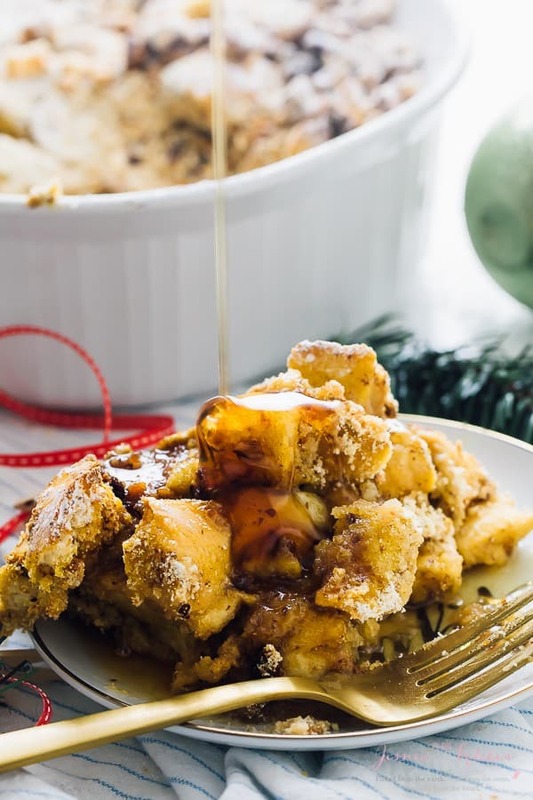 I spent a lot of time perfecting this recipe to ensure that you enjoy the very best Christmas breakfast! Here’s the thing about Gingerbread Pancakes – they taste like gingerbread cookies for breakfast. Soft, pillowy, fluffy gingerbread cookies. Honestly. Not only is it hard to put them down, you’ll be more than tempted to come up with multiple excuses to go back for more. Knowing this, I ensured that these pancakes were as healthy as they could possibly be. I also wanted to keep this dairy free and overall vegan, so that everyone could enjoy these for that special occasion. 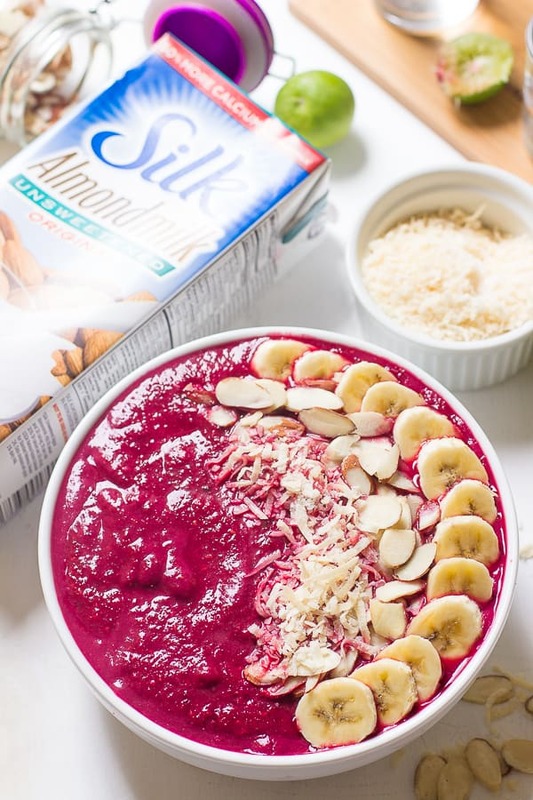 As usual, I used Silk’s Almondmilk Original to make the dairy free buttermilk. If you’re ever made pancakes, then you know that buttermilk balances the taste of the baking soda, and adds tremendous flavour. My vegan version did just that, especially the flavour part. Silk’s Almondmilk also helped to keep the batter pretty smooth too, which is so necessary for a great pancake batter. 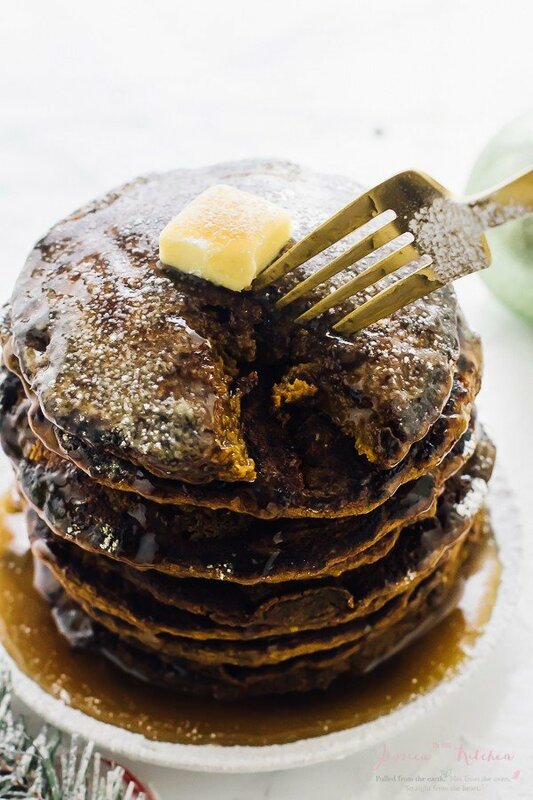 These pancakes are made with ground up gluten free oats, so oatmeal basically, right?! Added to that is a mix of pumpkin puree, molasses, cane sugar, spices, vegan buttermilk and a little bit of vegan butter. I tried these pancakes over and over until I got the “just right” ratio. The gingerbread flavour is pretty prevalent, but definitely not in an overpowering way. But then, it is Christmas time, right? So I whipped up a salted caramel maple syrup sauce so that you can pour all over. NOTE: the woes of being a food blogger means drowning your pancakes to get the perfect pour shot for your video. Woe. Is. Me. That sauce was definitely the cherry on top of already divine pancakes. Add a pat of vegan butter on top and you’re sorted. 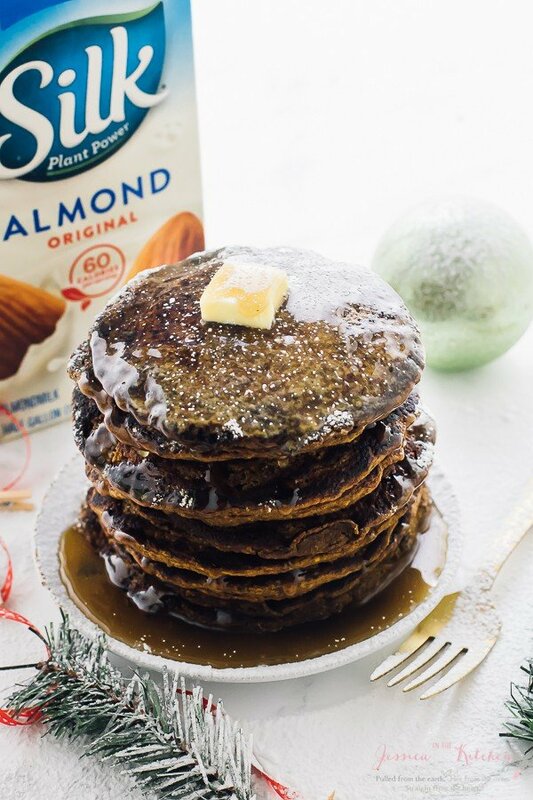 I promise, these Gingerbread pancakes won’t disappoint. Q: My pancakes keep sticking to the pan. Why aren’t they flipping? A: Pancake making takes a bit of science. One, your griddle is hot enough. Honestly, this is crucial. You don’t want to burn your pancakes, but they need to be cooked through properly. These pancakes in particular because of the molasses take quite a while before they are ready. Wait until they’ve formed a lot of bubbles before flipping, about 3 minutes. This may vary based on your griddle, so test it with the first pancake to get the right timing before putting anymore on. Once this is established, flipping your pancakes will be much easier. Also, ensure that you measure out the ingredients properly: too much liquid or too little flour will yield pancakes that won’t flip. 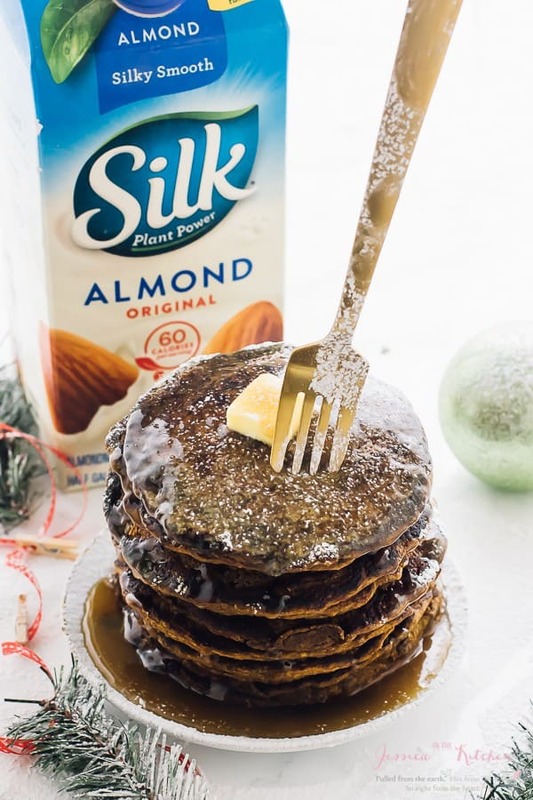 If you try these Gingerbread Pancakes please let me know in the comment section below, or tag me on instagram with the hashtag #jessicainthekitchen! For more exclusive recipes follow me on Instagram AND on Snapchat: jessinkitchen. In a large bowl, mix the oat flour, baking powder, baking soda, salt and the ginger, ground cloves, cinnamon and nutmeg. Add in the cane sugar, molasses, pumpkin puree, vegan butter and the vegan buttermilk. Whisk together until just combined. Let the batter sit for 5 minutes. Heat a griddle over high heat. Brush griddle with more vegan butter or coconut oil. Pour the batter into a liquid measuring cup, then pour about ¼ or 1/3 cup's worth for one pancake. I liked 1/3 cup but it depends on how fluffy you want your pancakes. Wait until some bubbles start to form. Allow to cook for 2 more minutes and then flip the pancakes over. Cook for about 3 more minutes on over side until batter is cooked through. Serve pancakes hot and drizzle maple syrup on top. 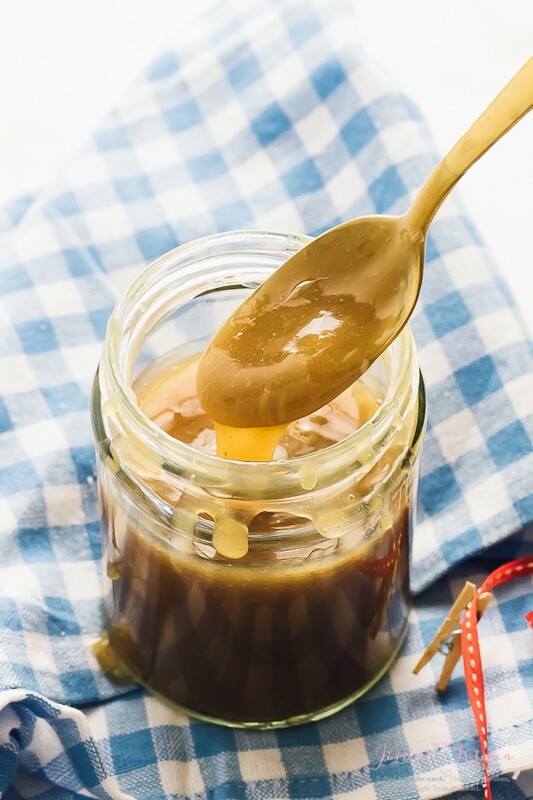 Mix the caramel and maple syrup together until combined. Drizzle over pancakes. These pancakes freeze very well. Store these pancakes stacked with wax or parchment paper in between each one in an airtight tupperware container in the fridge. If freezing, store them in a freezer-safe zipped bag with wax or parchment paper in between each other. Store them flat to freeze. They last very long in the freezer! You have some really awesome vegan dishes, Jessica. 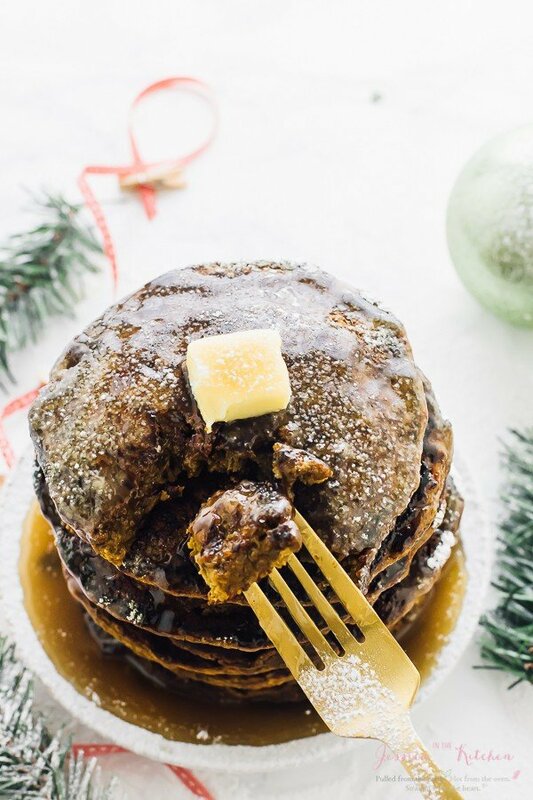 These holiday inspired pancakes look marvelous! These look delicious! How many pancakes does this recipe make? I can’t remember but I think it was like 6-8!